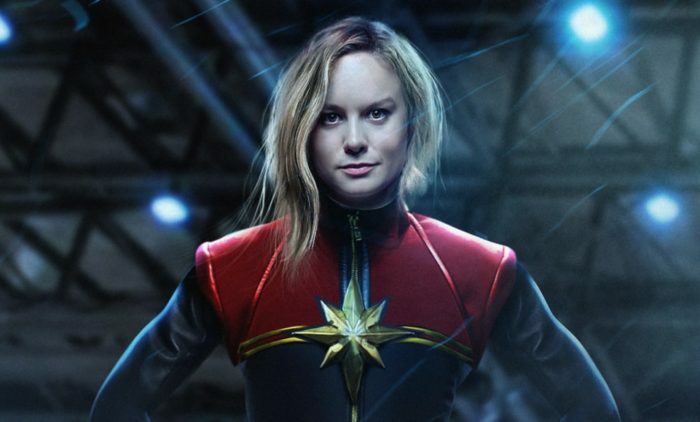 Captain Marvel has been back in the headlines recently with set photos appearing online showing Carol Danvers herself in a Kree-colored superhero suit. She’s all set to wow Marvel fans in a movie of her own on March 6 2019, and without spoiling too much, is pretty obviously going to be a big part of Avengers 4 when it releases May 3, 2019. So who exactly is Captain Marvel? Well, let’s find out. First off, let’s see where Captain Marvel fits into the MCU in its current form. Room actor Brie Larson is set to take on the role of Carol Danvers in her own solo movie next year. The movie is set in the ’90s, with a young Nick Fury and Agent Coulson rumored to have big parts to play. It will follow Danvers as an air Force pilot and understudy to Mar-Vell, who is being played by Jude Law. We know that her adventures will lead her into battle with the Skrulls, and that she is set to become the universe’s very first superhero. Other than that, we know very little about the big screen version of Captain Marvel, so we will have to wait and see how she fits in come 2019.